Get sporty with these great new books for beginner readers! Do you want to give up?' said Vinnie. But he was starting to wonder if he could . . .
Luca never loses at handball. But can he beat the Handball King? 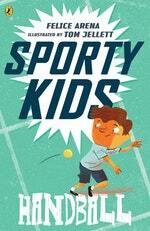 Love Sporty Kids: Handball!? Subscribe to Read More to find out about similar books.